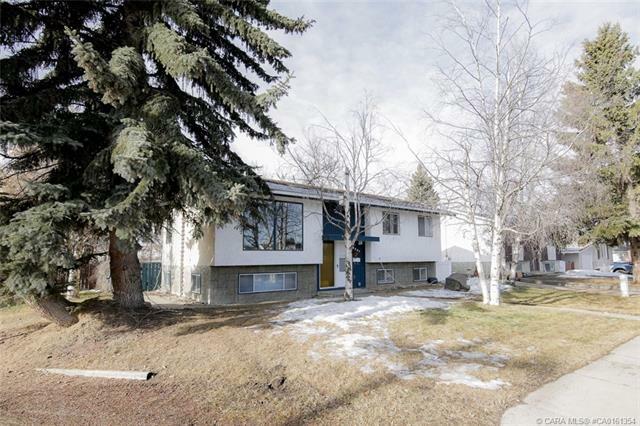 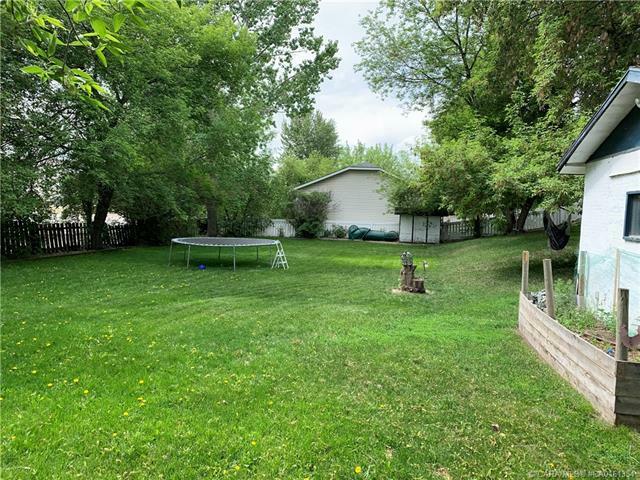 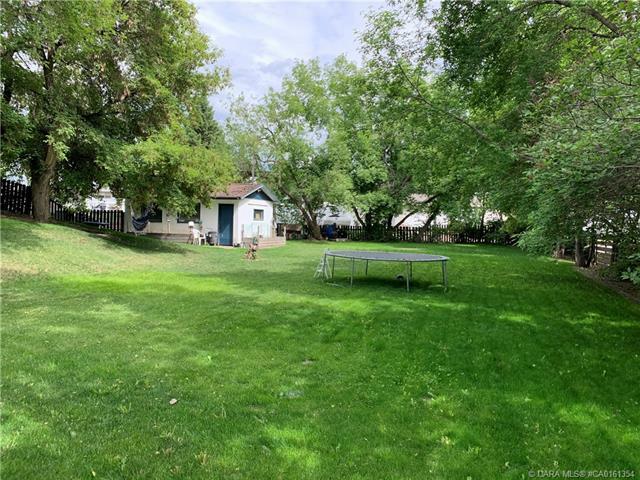 SITUATED ON ALMOST .6 OF AN ACRE THIS HUGE FENCED YARD ON A CORNER LOT WITH BACK ALLEY ACCESS MUST BE SEEN!! 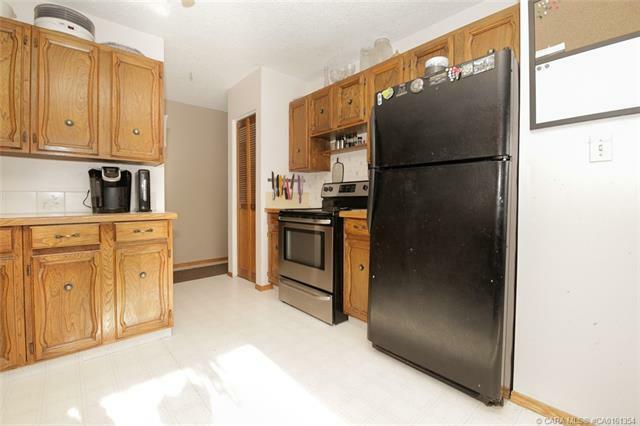 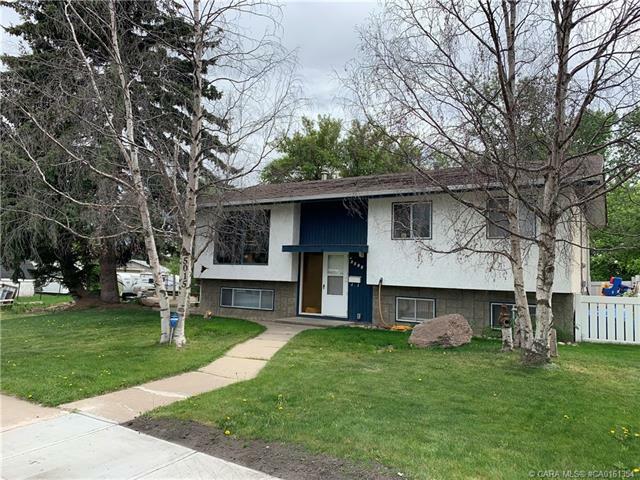 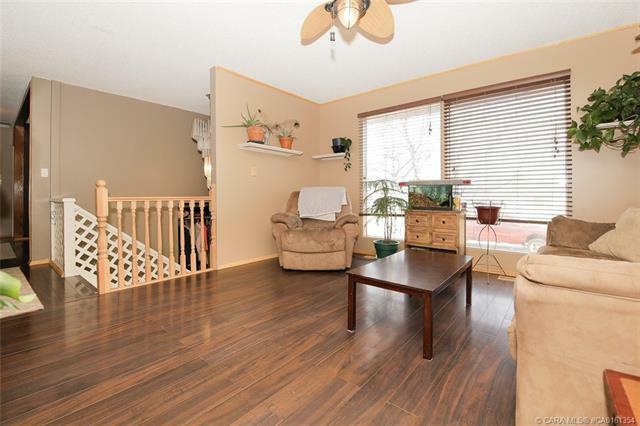 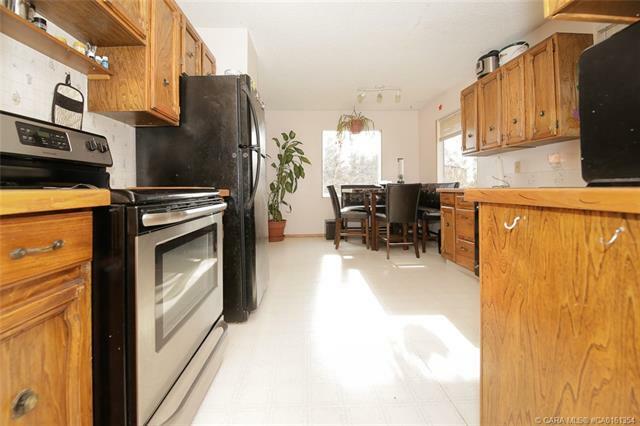 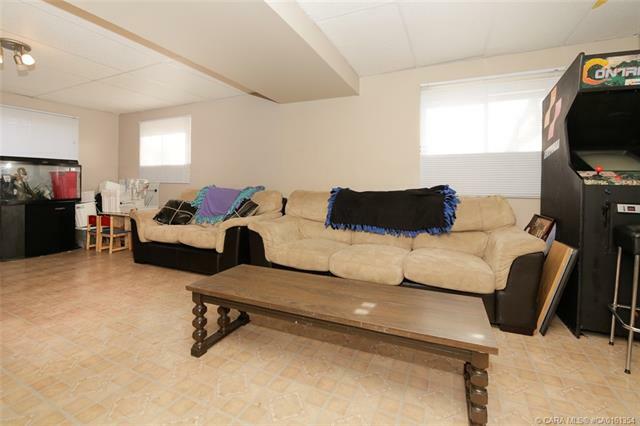 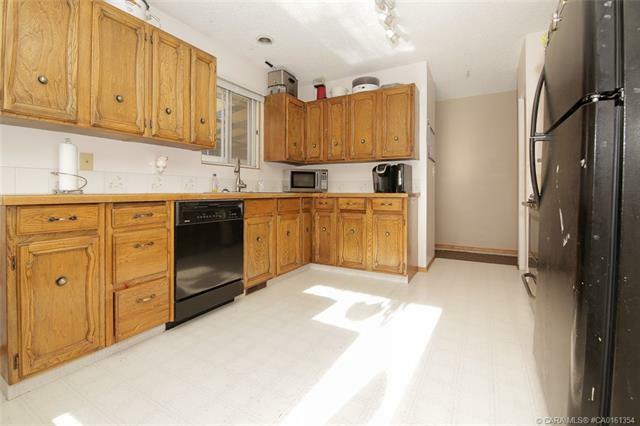 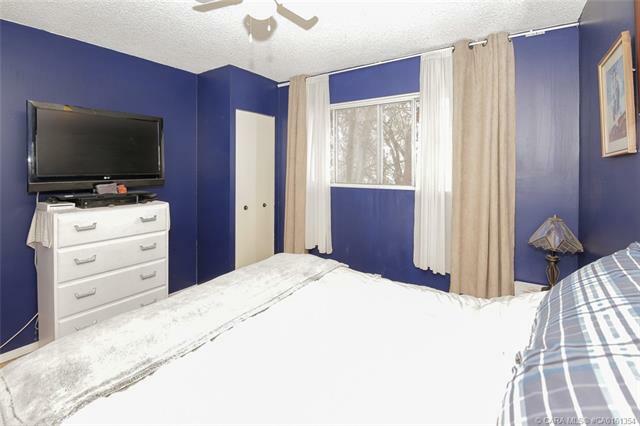 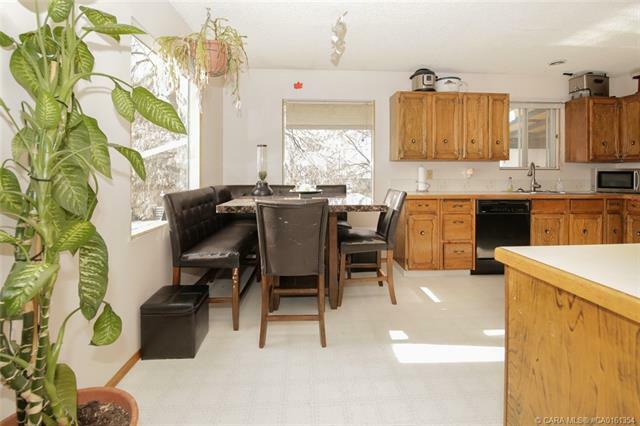 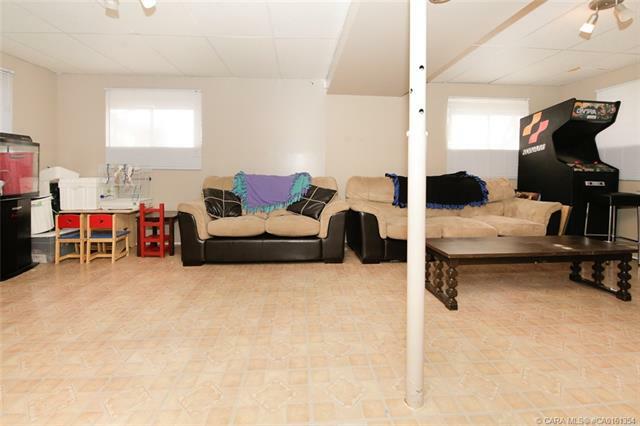 This family friendly home offers a large bright kitchen, freshly painted living room two bedrooms with the possibly of a third or could be a sitting room or office. 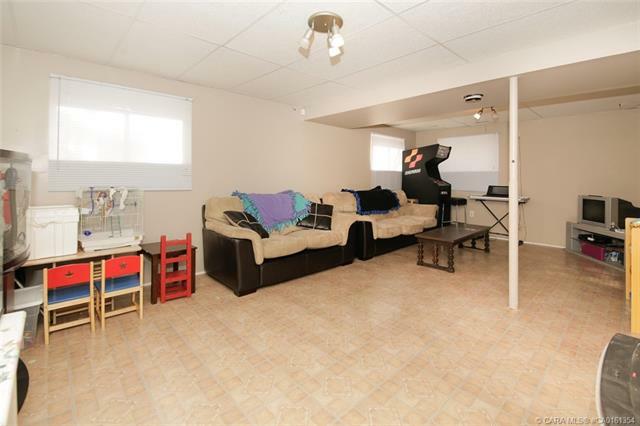 Large recreation room downstairs for the kids to have their own space. 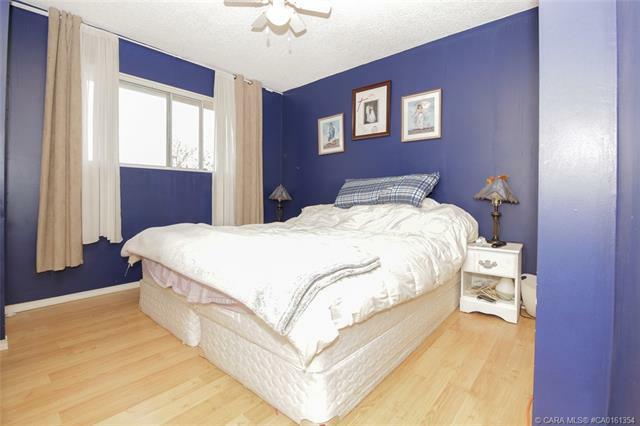 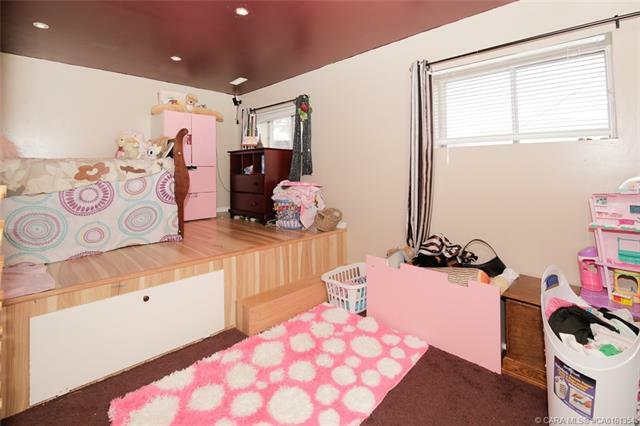 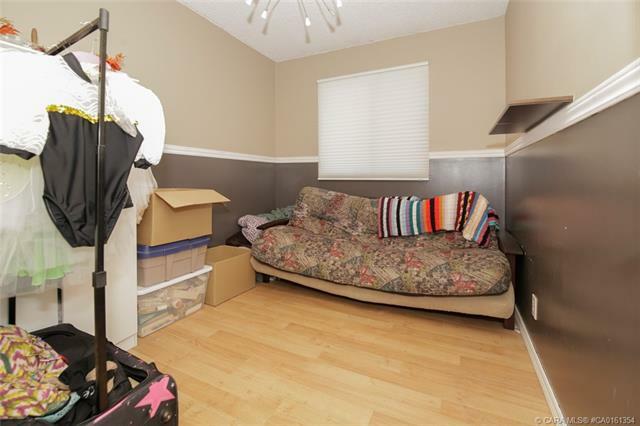 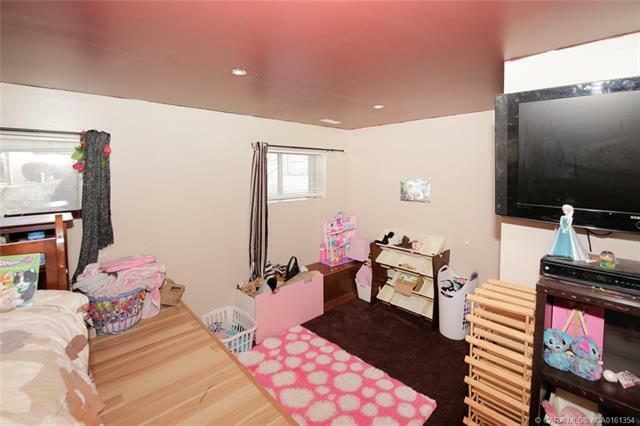 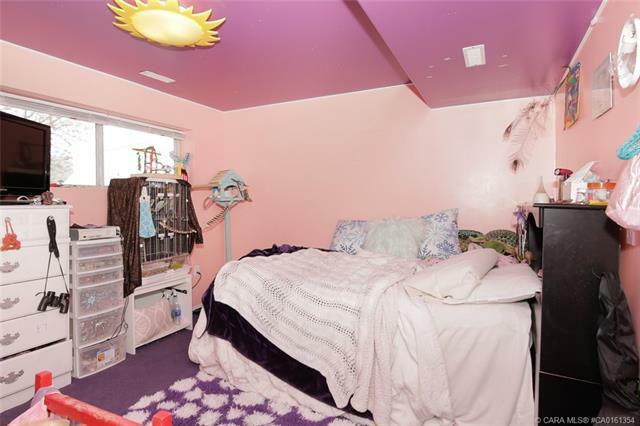 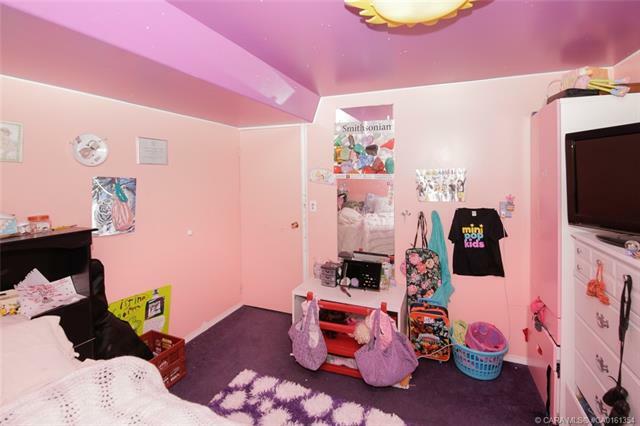 2 bedrooms downstairs one with a raised floor for the bed and creates extra storage underneath. 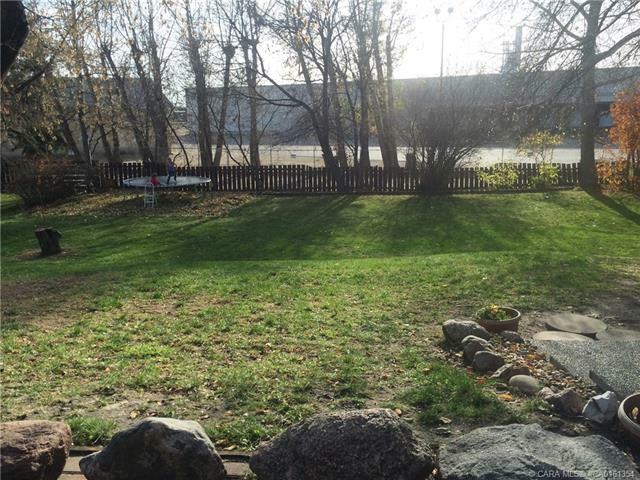 Sit outside on the covered deck or on the cement patio below and enjoy the afternoon/evening sun. 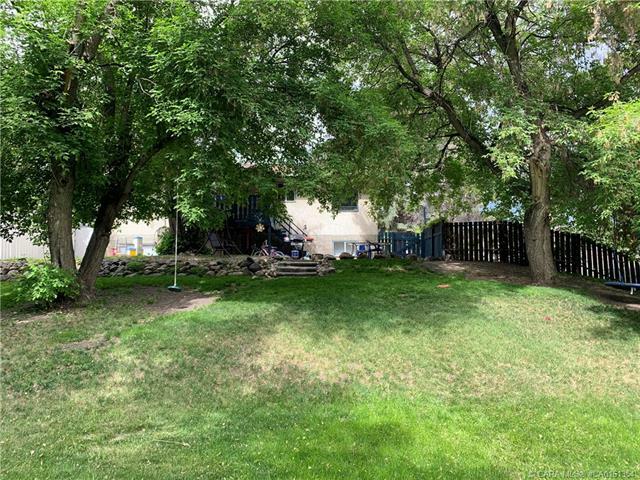 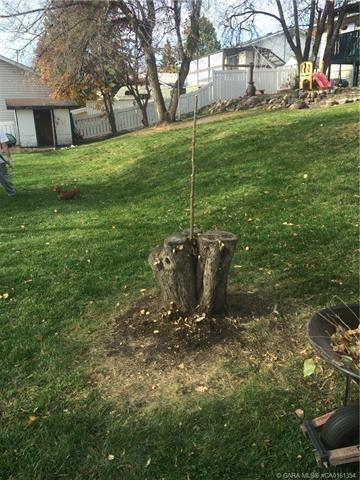 Mature trees in the yard add shade when needed. 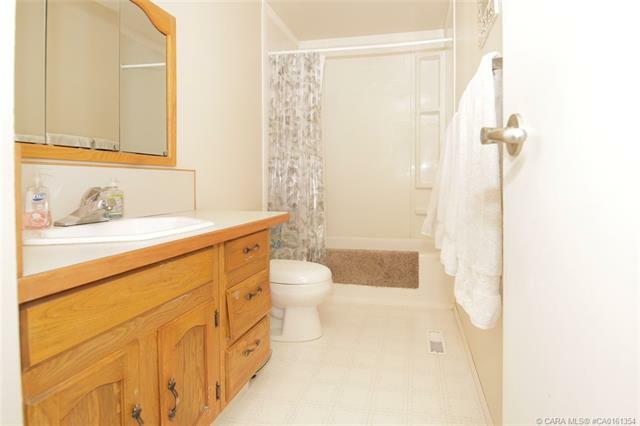 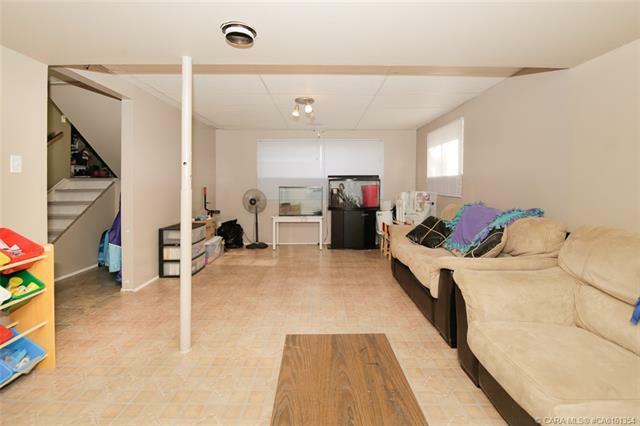 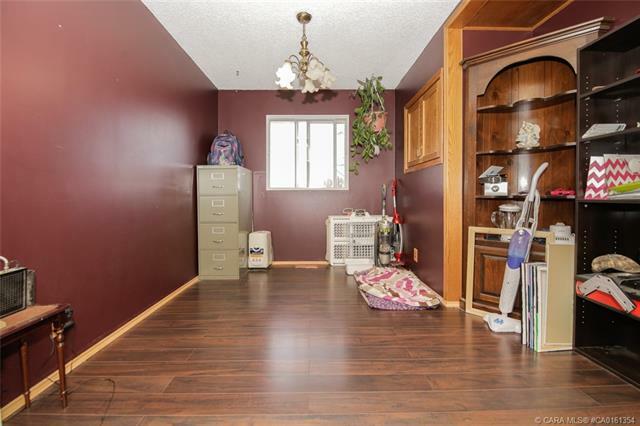 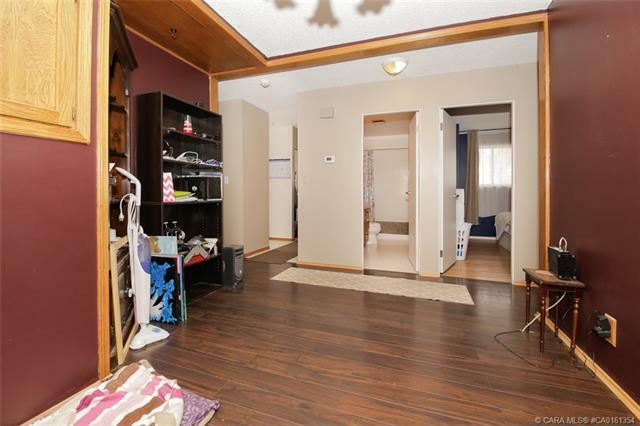 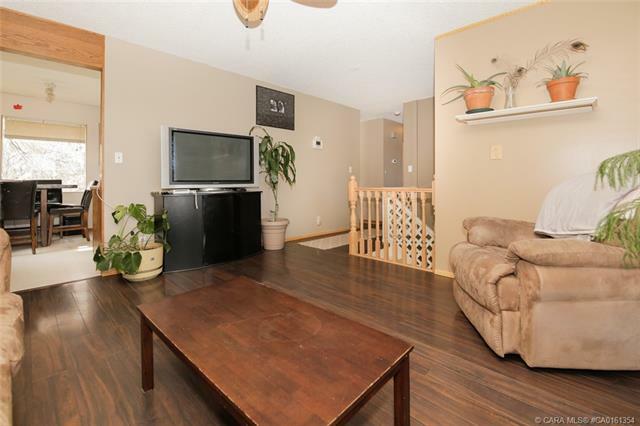 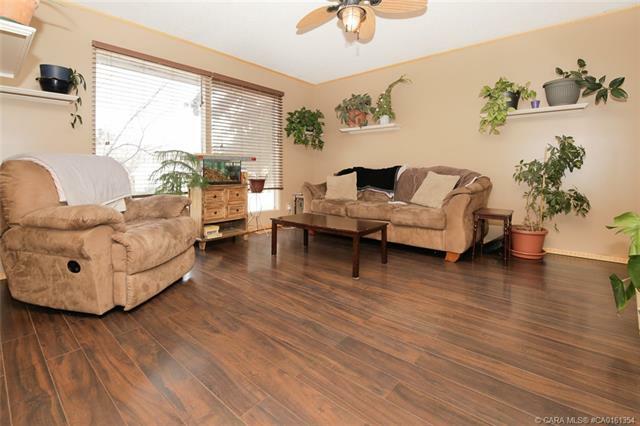 This home is a well cared for family home.